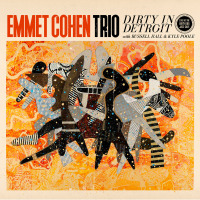 Ready to party and blow off steam on the last night of a long tour, Dirty In Detroit was recorded live in September 2017 at Detroit's ever-hopping Dirty Dog Jazz Café. A more conventional trio date by design, Cohen and his fired-up brethrenLate Show with Stephen Colbert bassist Russell Hall and lightning-rod drummer Kyle Poolespring from one youthful buoyancy to another with an energetic twelve-song set, brilliantly bringing to life the entire grand jazz kaleidoscope. Here's a history lesson that strides, bops, swings, jumps, and gets bluesy as the headstrong trio incorporates all elements into each selection. A spirited spin on Thelonious Monk's whimsical "Teo" kicks things off with an infectious vibrancy. 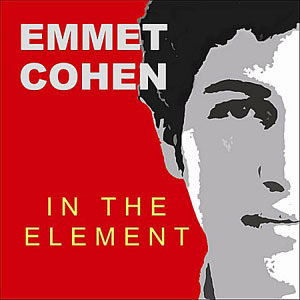 Cohen's unstoppably imaginative right hand emerges from the rhythmic opening of "Darn That Dream" with a light intensity à la Red Garland. 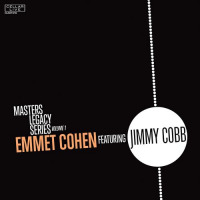 That Fats Waller's "Jitterbug Waltz" and "Squeeze Me" can still elicit cheers of appreciation from the audience proves beyond doubt the charisma, verve and rubbery hijinks Cohen, Poole, and Hall bring to the music and to the stage night after any given night, without losing their emotional core despite their overflowing virtuosity. "You Don't Know What Love Is" is a fully realized interplay, Hall and Poole strutting as Cohen whirls around them and his playful whoops urge them on. Dirty In Detroit finishes with the one-two punch of an expansive and vital re-incarnation of "'Round Midnight," the tune seamlessly juxtaposing from ballad to blues to a sanguine bossa nova finale. The trio then brings more Waller to the fore with a sparkling and rollicking roll through "Honeysuckle Rose/Handful of Keys." The crowd loves it. Track Listing: Teo; Darn That Dream; Jitterbug Waltz; Squeeze Me; You Don’t Know What Love Is; Bremond’s Blues; Keepin’ Out of Mischief Now / Two Sleepy People; Ain’t Misbehavin’; ‘Round Midnight; Honeysuckle Rose / Handful of Keys. 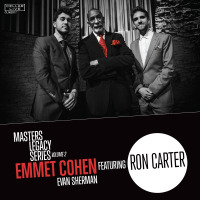 Personnel: Emmet Cohen: piano; Russell Hall: bass; Kyle Poole: drums.